An Event at a Small English Club: When is the next session? “Excuse me, but doesn’t this club invite anyone from foreign countries?” One day, Mr. Hoshino raised a hand and asked me. 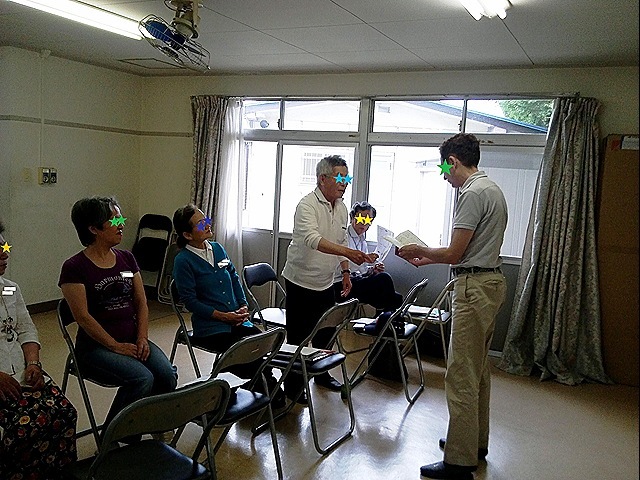 I have a small English conversation club for senior citizens in my neighborhood as a volunteer activity. He is a newcomer to the club. I replied, “Good question. I wonder why I never thought of that before. Okay. Let’s invite someone!” Other members gave a cry for mixed feelings of anxiety and anticipation. I don’t know exactly what their average age is, but it probably is over 70. The oldest is 82 years old and even the youngest is around 65. Some of them had never learned English before they came to the club. Studying English was banned as a hostile language during the World War II, when they were young. Nevertheless, they are now enjoying learning English. That’s wonderful. I suggested preparing for their self-introduction before the session to the members: name, living place, family, job, hobbies, and etc. And I also asked them to think about some questions to the guest. We rehearsed the meeting twice before the day. They look nervous but also excited during the rehearsals. 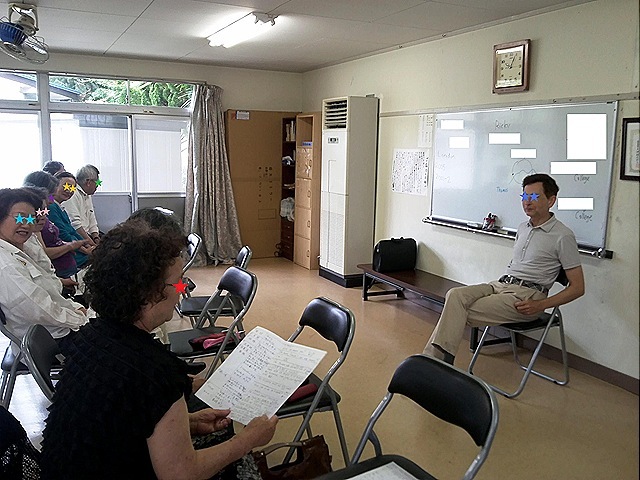 And finally the guest came to the English club at the end of June. The person I asked to come to the English club is Ricky from London. Before the session, I told him about the members’ features and Saeko’s background. He understood the historical context and accepted my request willingly. When I opened the door and entered with Ricky, the members of the English club stood up and greeted him with a clapping of hands. All of them were smiling and some were even greeting in English, “Welcome to our English club!” It was off to hopeful start! After Ricky introduced himself, each member started talking about themselves. Ricky listened to them and gave some questions. They looked disconcerted by his questions, but tried to answer to them in English. They were (maybe too much) excited at the session like little children. They looked really happy to speak English with a native speaker. That was the first time for them to meet and talk to a foreigner! 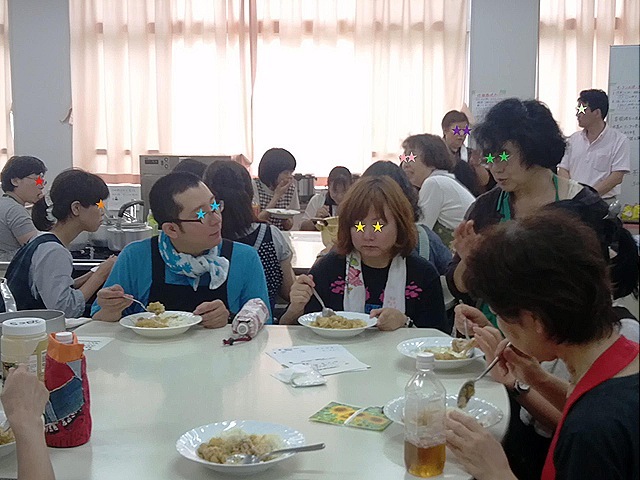 I was near to tears when I was seeing their sparkling eyes. At the end of the session, Saeko came to me and whispered, “I like him. He is very nice. Could you say that to Ricky later instead of me, please? I’m too shy to talk to him…” The event was a great success. 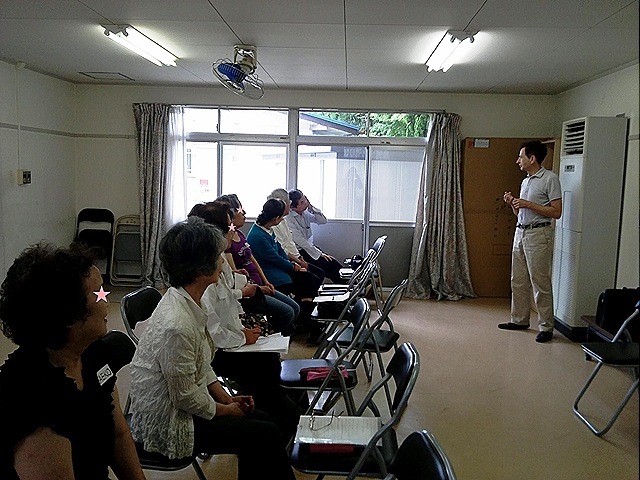 Thank you for coming to the English club and talking to the members kindly, Ricky. We really appreciate it. The members’ motivation for learning English must have become higher. One of them asked me after the meeting, “When is the next session with a foreigner?” Wow! Rosario’s 50th Birthday Party: ¡Feliz cumpleaños! Happy Birthday! 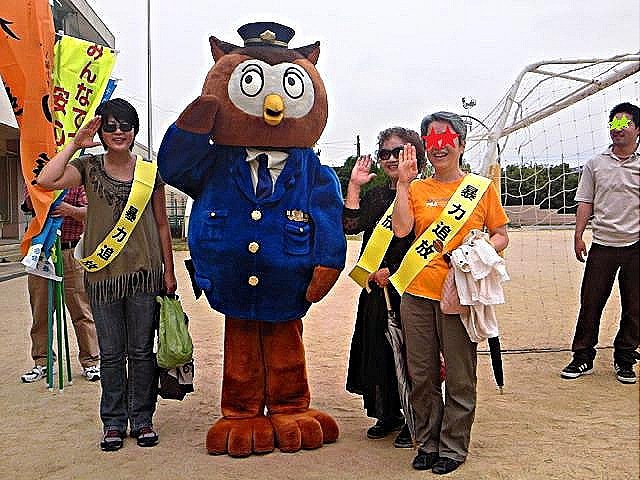 Otanjobi Omedeto! “Treinta y siete! Thirty-seven! 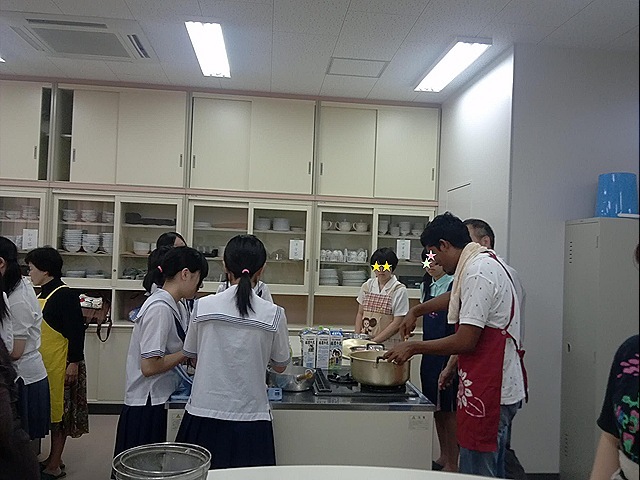 Sanju-nana!” Spanish, English and Japanese were mixed in the room. 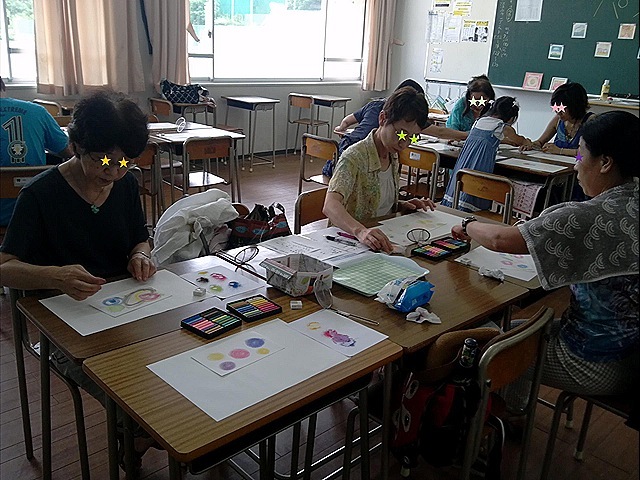 It was Rosario’s 50th birthday party held on the last Sunday in June and the participants were enjoying a bingo game. Rosario is from Peru and lives with her husband and two sons in my neighborhood. 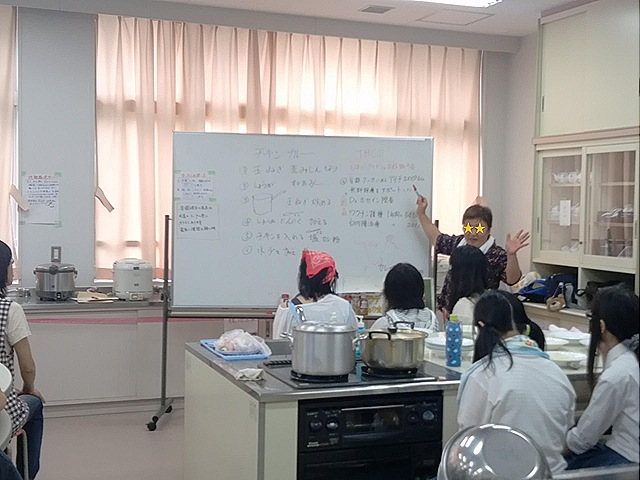 I met her first at an interesting class named “Peru in Three days” held at Aichi Shukutoku University about 10 years ago. She was the lecturer and I was a student there. We have been friends since then. What I was surprised at on her birthday party was Rosario herself was the host and gave a feast to the guests. 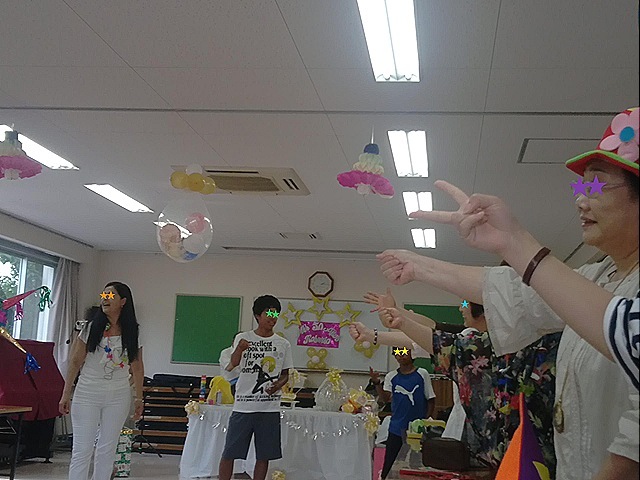 As far as I know, the person who is celebrated her/his birthday usually does nothing except for blowing out the candles on the cake at the birthday party in Japan. They are just celebrated by the host and the guests. 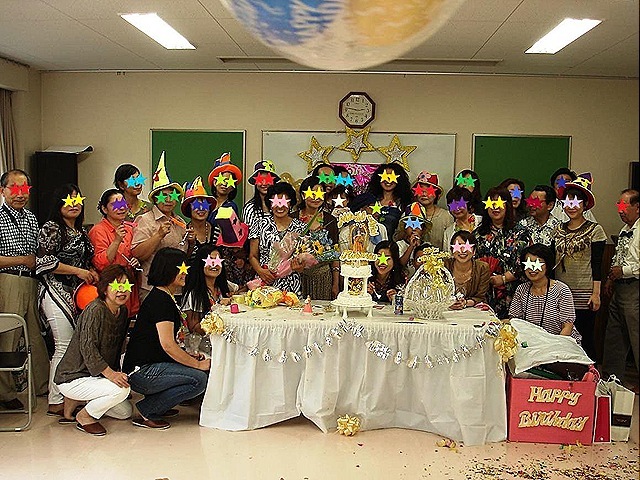 But Rosario’s birthday party was different. She prepared for the food and drink, entertainment, presents for her friends, and everything. Getting back where I began, the birthday party started with the bingo game, and I won the game and got a bottle of wine. Yay! Then two magicians appeared and did magic tricks. They didn’t look like conjurers at all, but their performances were pretty good and added to the fun. After the magic show, everyone sang “Happy Birthday” to Rosario, and then she blew out the candles on her special birthday cake, which had been decollated by herself. 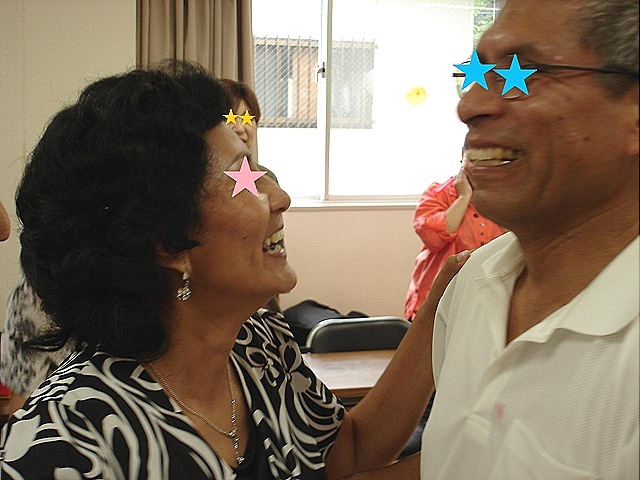 She danced with her husband happily and all the participants became happy seeing them. 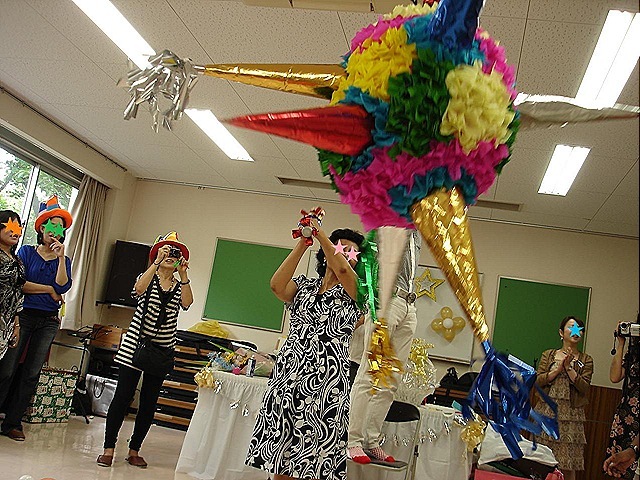 Suddenly a big ball decorated colorful paper flowers and cones appeared in the room. Two men raised it up with string, and Rosario, her two sons and the guests’ children started hitting the ball with a bat. Actually, the decorated ball was made from milk carton paper and newspaper, and had lots of small toys for children inside. It was destroyed piece by piece, and at last it was split up falling off the contents on the floor. The children yelped with delight and gathered the presents. That was exciting. Finally the guests were served food and drink. 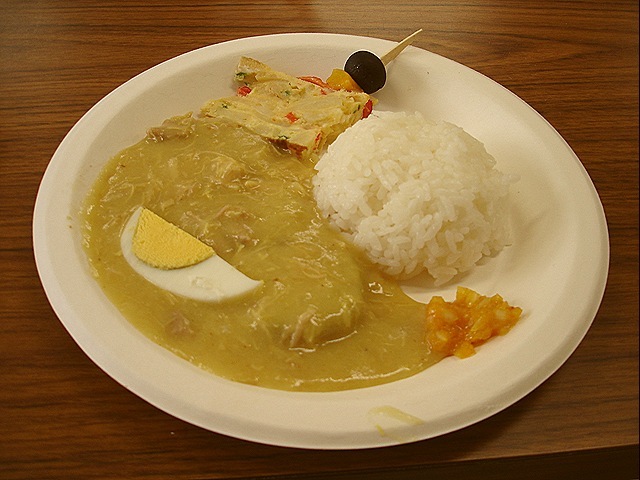 The main was “Aji de gallina”. 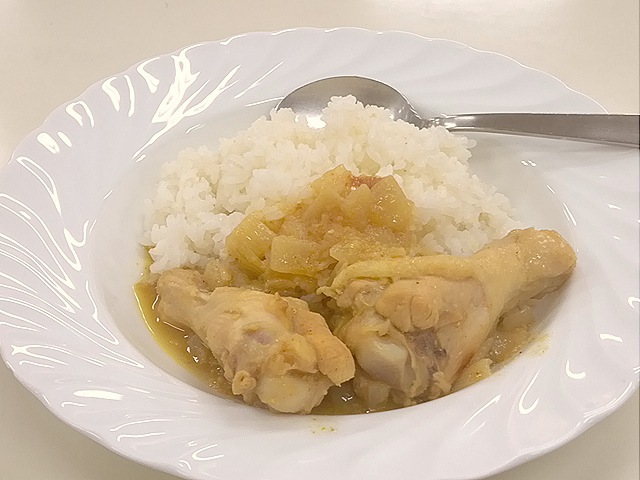 It’s a kind of Peruvian chicken curry. I know Rosario is a great cook, and the food was, of course, excellent. I met many people (one of them was a woman who I often see at concerts of Sisay, the Ecuadorian musical band) and enjoy talking them at the party. I had a really good time there. Thank you for inviting me, Rosario. Happy Birthday! 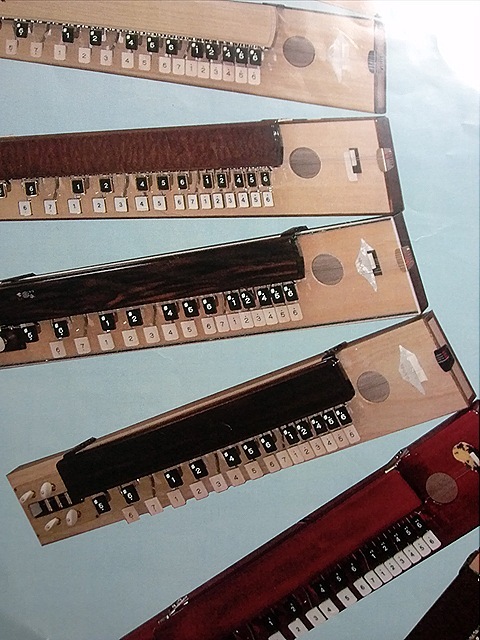 Taisho-goto (Nagoya Harp): Let’s enjoy its wide and deep world from enka to classical music! Have you ever heard the sound of Taisho-goto? It is a stringed musical instrument invented in Japan in the Taisho Period (1912-1920) and is also called Nagoya harp in English according to Wikipedia. As the second name shows, the instrument was born in my town Nagoya. Nevertheless, I had never seen or heard of the sound of one until recently. Luckily I had an opportunity to go to a concert of the old and new (for me) instrument at the end of June. 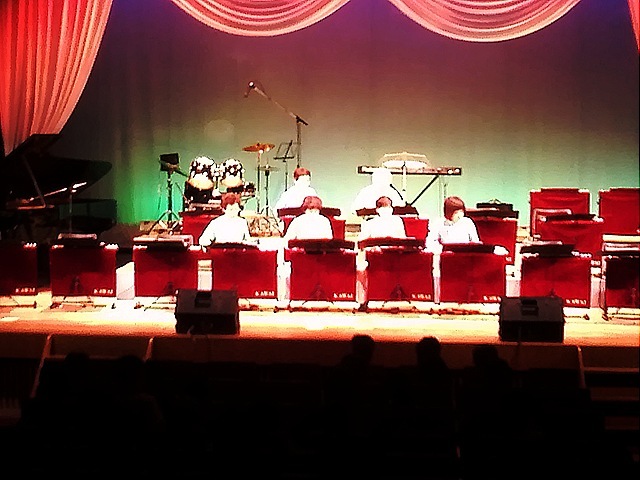 The concert was held by Kawai Musical Instruments Manufacturing at Chuden Hall in Sakae, Nagoya, on June 24. 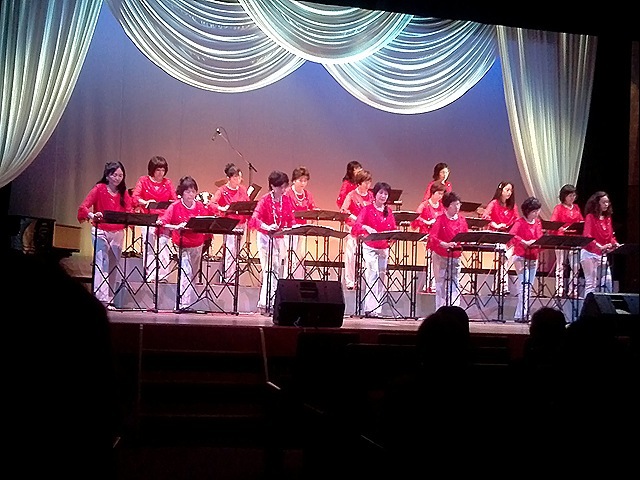 It consisted of two recitals: one was performed by students at Kawai Music School and another by their teachers. 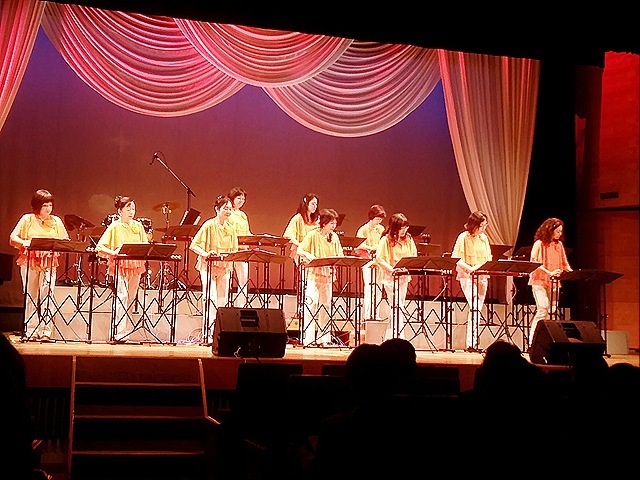 The students’ groups were 12 and they played a broad range of music, for example, “Around the World” composed by Victor Young, “La Playa” by M.A. Deighan, a French pop “Les Champs-Elysees”, and “Miagete Goran Yoru no Hoshi o” or “Look up at the Stars in the Night” composed by Take Izumi and sang by Kyu Sakamoto, who was famous for “Sukiyaki Song” in 1960s. 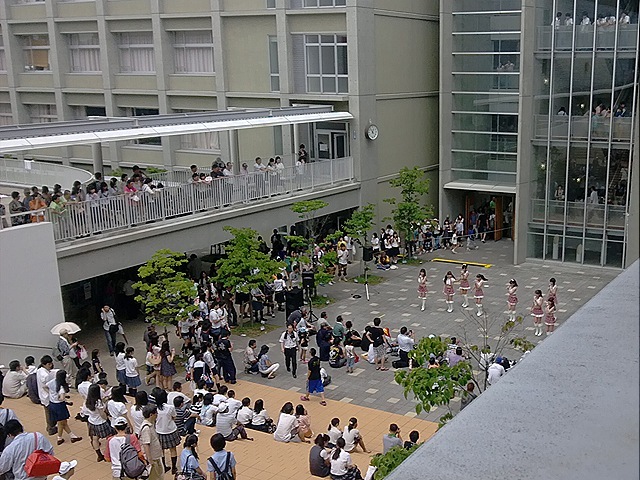 Apparently, the average age of the students was 65. There were four to ten players in each group, and in which they were dressing in matching costumes. 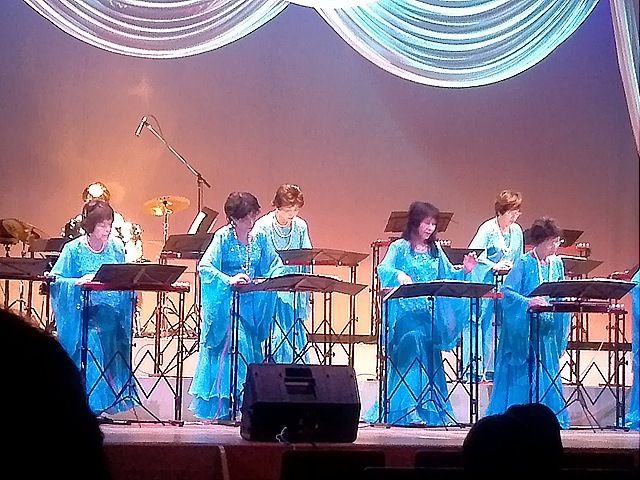 They were playing the musical instrument proudly before their children and grandchildren coming to see their performance. That was quite heartwarming. Although I was very surprised at the students’ cross-genre music, their teachers’ performance was even more amazing. Firstly, they played a Japanese tune which was composed for shamisen, another stringed Japanese musical instrument. 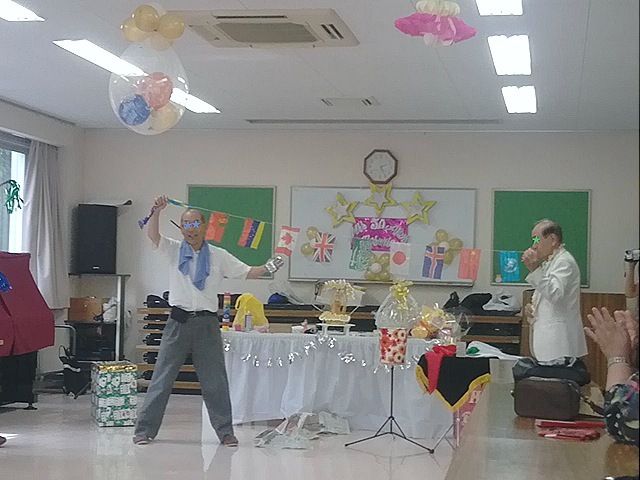 Secondly, they performed a medley of “The Sound of Music” such as “My Favorite Things”, “Do-Re-Mi” and “Edelweiss”. Thirdly, some classical music: Offenbach’s “Heaven and Hell”, Beethoven’s “Piano Sonata No.8” and “Symphony No.5”. Fourthly, some Latin American numbers: J. LaCalle’s “Amapola”, C.E. Almaran’s “Historia de un Amor”, C. Velazquez’s “Besame Mucho” and A. Barrosso’s “Brazil”. Fifthly, several movie theme: “The Third Man”, “Rocky”(“Gonna Fly Now”), and “Lupin the Third”. 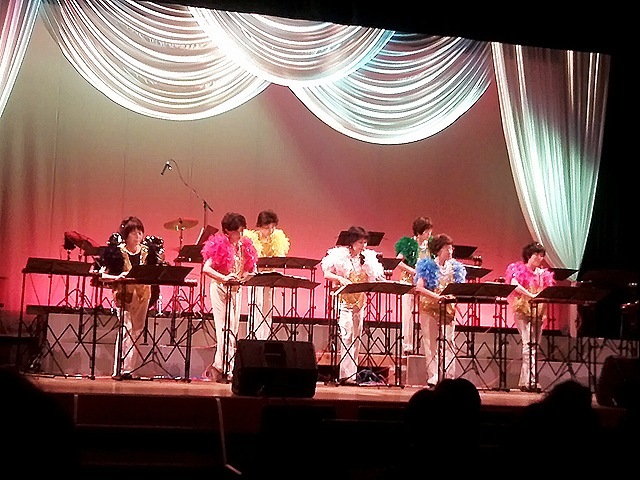 Finally, they played Jazz number “Sing, Sing, Sing” and some Japanese popular music. 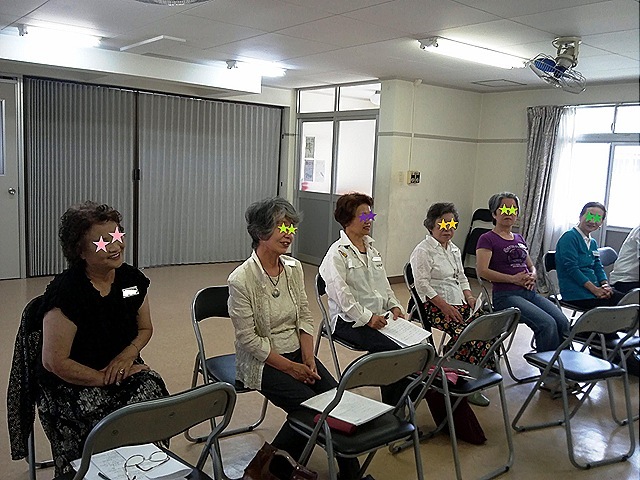 Taisho-goto was popular in Taisho era (1912-1920) but is still well-liked among women over sixties. I had imagined that most of the music played by the instrument would be old Japanese melancholic enka songs until I went to the concert. However, everyone was enjoying playing various kinds of music with the instrument. The world created by Nagoya harps is wider and deeper than I thought. 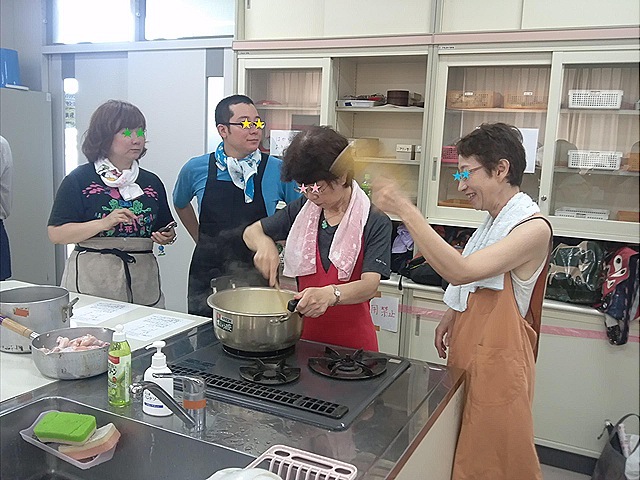 I hope the Japan’s invention Taisho-goto are introduced more a lot into the world and the populations of its players increase. 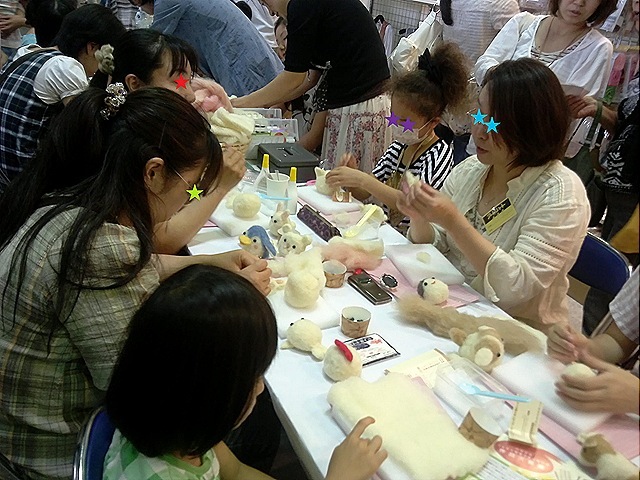 Handicraft Fair in Nagoya 2012: Shouldn’t I have bought this from you? “Ah…Can I see the bag one last time? Oh…Oh…” The bag maker said that and stared at “my” bag fondly and sadly. 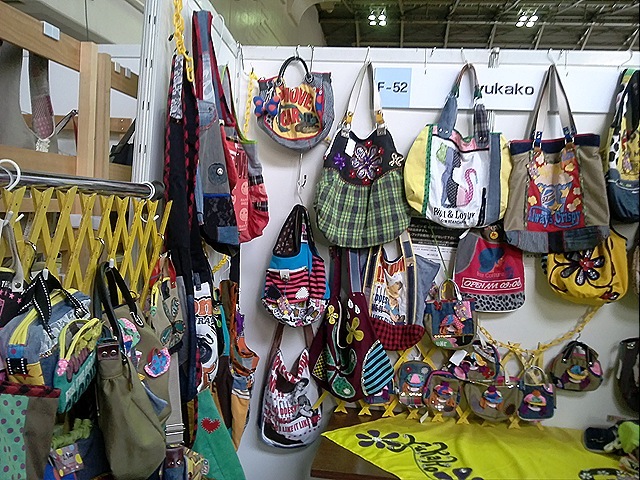 There is an event called Handicraft Fair in Fukiage Hall every June and I look forward to buy a bag from Yukako, the bag maker, at her booth each year. I just bought the bag from her. 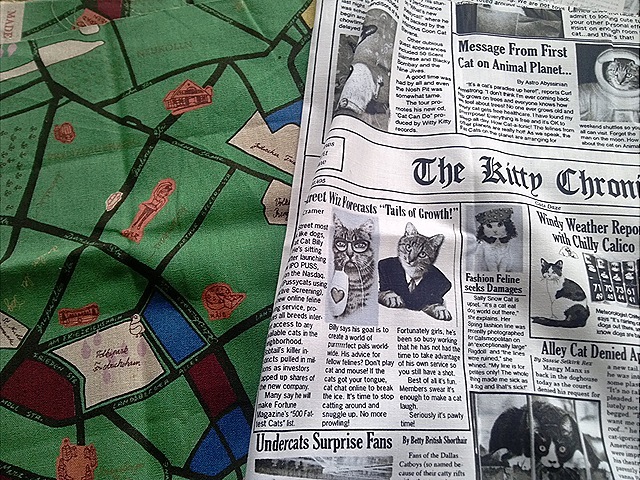 So, I asked her, “Um…Shouldn’t I have bought this from you?” She replied hastily, “Oh, yes, yes! I’m very happy to sell the bag, but it took really a long time and very hard for me to complete it. I may not be able to create a better one than that…Please take good care of it…” She almost started to cry. I promised her to visit her booth with the bag next year. I see her have made every effort to make the bag, which is an achievement of her painstaking craftsmanship. Now this bag is my favorite. It was about four years ago when I met her and her bags for the first time at the event. I remembered I was very surprised at her works and liked them instantly at that time. I have bought one bag every year since then. 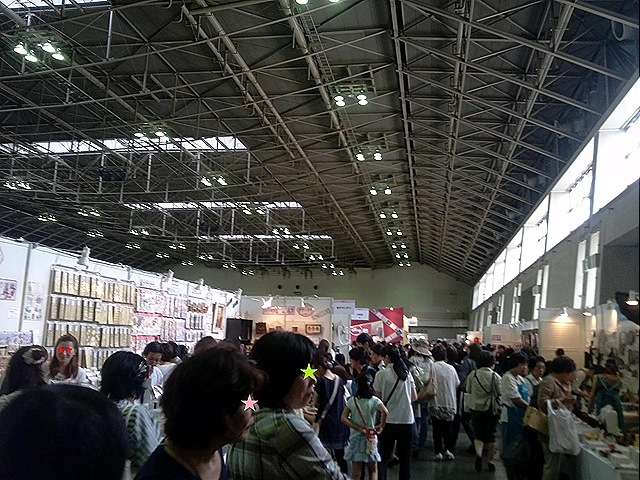 It has become my main purpose to visit her booth and to purchase a bag there at the annual event. 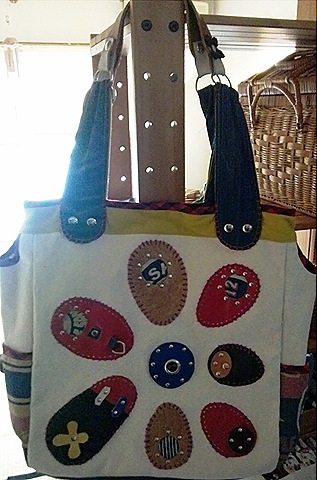 I felt fulfilled by getting a wonderful bag and seeing many interesting things and happy people at the event. Why don’t you go to Handicraft Fair with me next year? An Anti-Violence Campaign: We’ll keep on fighting until they give up! “We’ll keep on fighting until they give up!” shouted the leader of our lawyer team and got applause. That was the ending of a big meeting against a Japanese gang group last month. There is a “rumor” that a henchman of the leader of one of the biggest Japan’s gang group is going to build a mansion for his boss in my neighborhood. Although I wrote “rumor” above, most of my neighbors, many politicians, Japan’s media and the police regard it as “truth” and are taking actions. 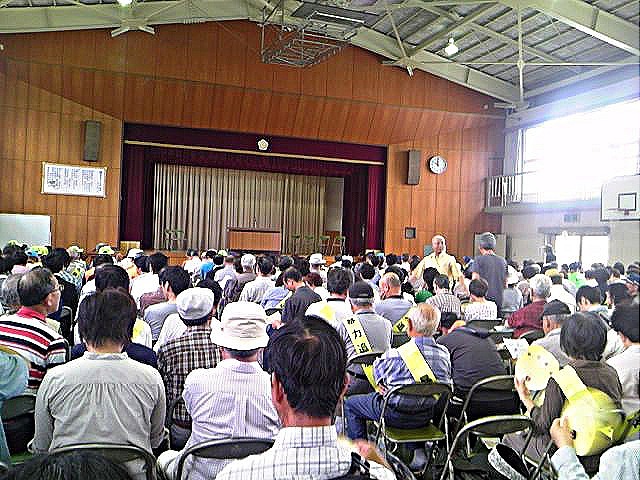 There were more than 600 participants in the meeting: many people from my neighbors, lawyers, officers from Aichi Prefectural Police and the district police, and some of Nagoya City and Aichi Prefectural assembly members. The meeting was held for increasing our cooperative spirit and for showing it to the gangsters. 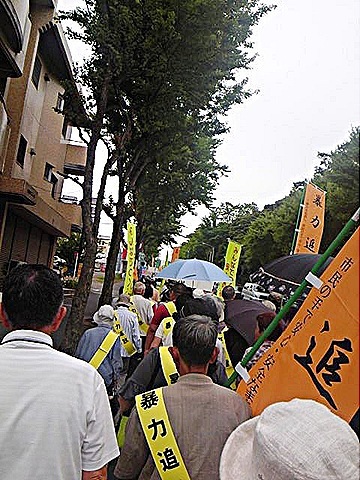 About four years ago, some anonymous letters arrived at core members of this district that a man who was in mainly sexual oriented business on a large scale was going to build a big house for Kenichi Shinoda aka Shinobu Tsukasa, the 6th leader of Yamaguchi-gumi crime syndicate, in the area, and then people became to understand the problem. In the meantime, Nagoya City gave the man a building permission, and Ichiken, a constructor based in Tokyo, contracted for the construction without knowing the client was deeply linked to the biggest Japanese mafia. If this went on, the construction would begin. Citizens rose up against it and started a protest movement. 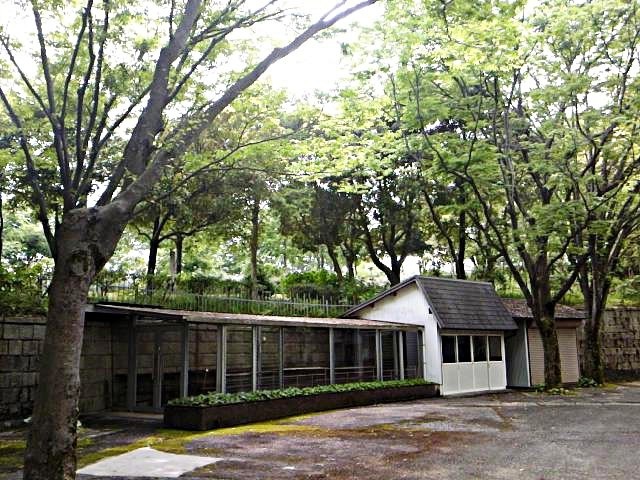 If nothing had happened, the mansion for the mafia leader would have already been completed and the place would have been filled with gangsters coming from all over Japan to visit their boss by now. Luckily, however, the construction has not even started yet. Ichiken, the construction company, realized the seriousness of the situation and asked for the cancellation of contract. Of course, the man did not accept it and sued the building company in Tokyo district. The case is still now in dispute, and the order for construction has not come into yet. But there is a high possibility to issue a permit for the construction because the man insists on building his own house, not for the leader of the mafia. Aichi Greenery Center in Toyota: A good place for thinking about wasteful uses of tax money in its artificial nature. This place might flourish once…I thought that when I saw some abandoned booths and buildings in the site. 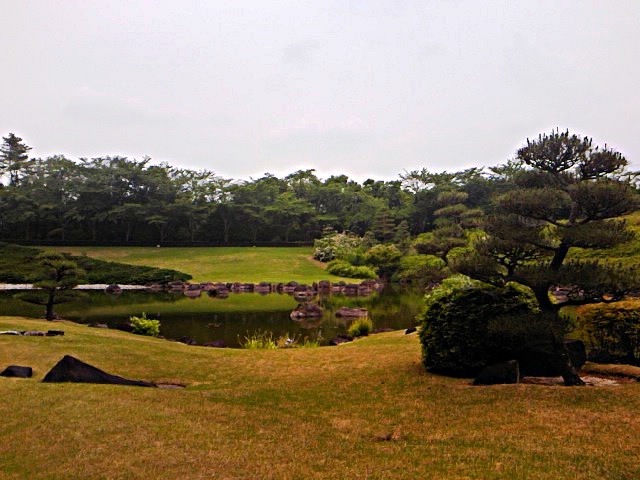 I was in Aichi Greenery Center in Toyota on one day in June. 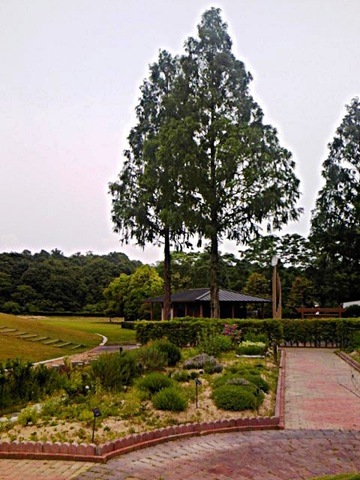 Aichi Greenery Center opened in 1976. 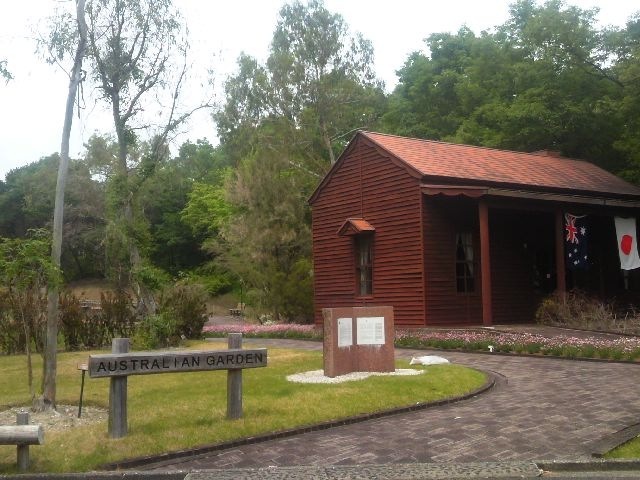 It is about 2.6 hectares in area and separated into some gardens such as Australian Garden and Japanese Garden. I had wanted to go to the place once for a long time since I heard of the existence. I had imagined that many wonderful gardens with beautiful flowers and trees, and that myself who came back refreshed from there. Yes. In a sense, the place was beautiful. But I felt something was wrong there. There were few people in the vast park. I didn’t see any families enjoying their holiday. There is a park near my apartment, and it is always filled with families, who are playing sports, eating lunch, or lying on the lawn. However I just saw a man who was buying a drink at a vending machine, a woman who was walking her dog, and two staffers there. No one visits, but the gardens are cared neatly. I felt I was in a film set because the place was too immaculate probably. I didn’t hear any human voices but heard birds singing. 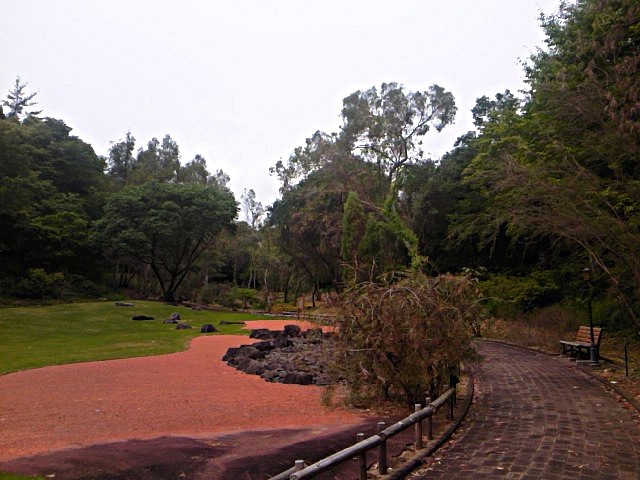 I thought it was interesting that the collaboration between artificial nature and nature.